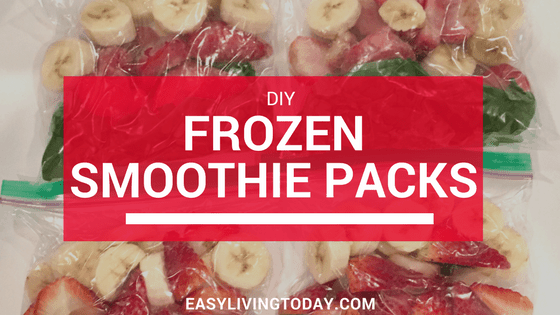 DIY frozen smoothie packs are basically a way to make your life 10 times easier. 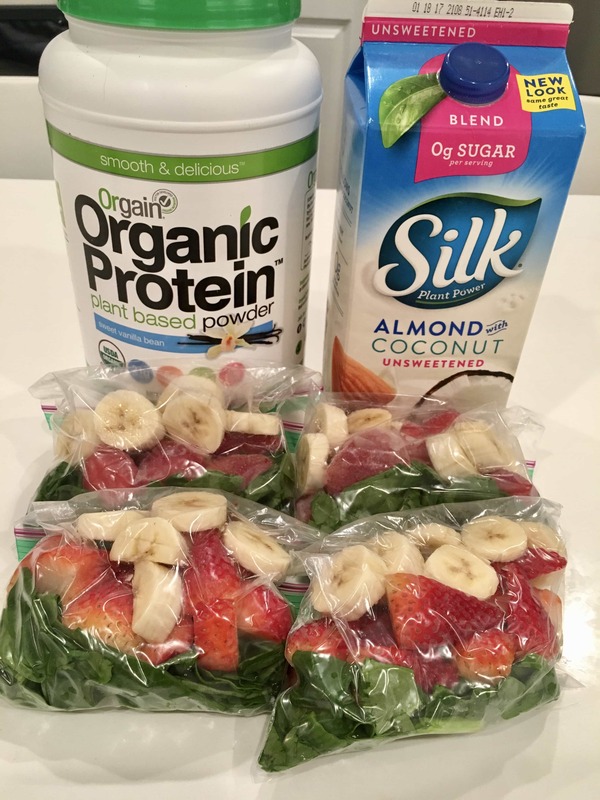 You take a few minutes to prep your smoothie packs one day and you have a quick breakfast for a few weeks. If you want to replace your breakfast with a smoothie, I recommend also adding protein powder to your smoothies so that you have a well balanced breakfast and are full longer. 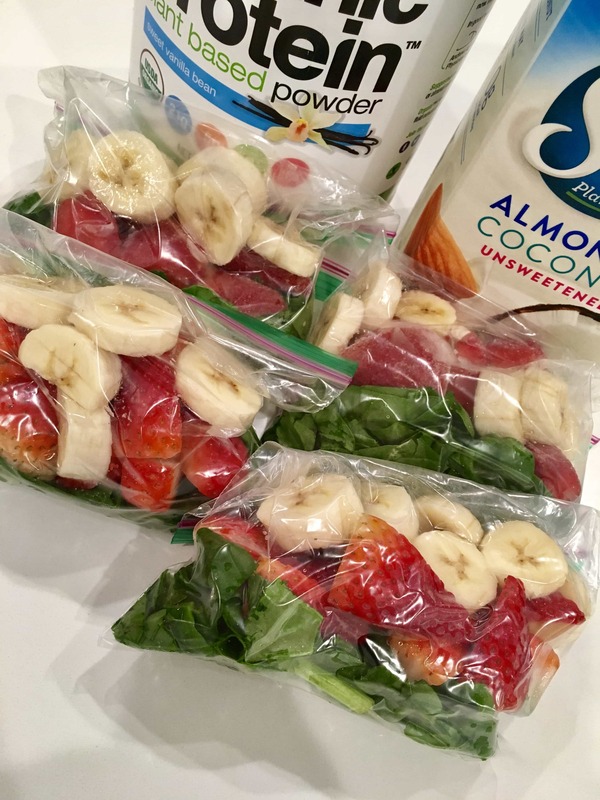 These smoothie packs will have a full serving of veggies that you will not even taste, plus a serving of fruit, and if you add the protein powder you will have a serving of protein! All of that in just 5 minutes every morning. 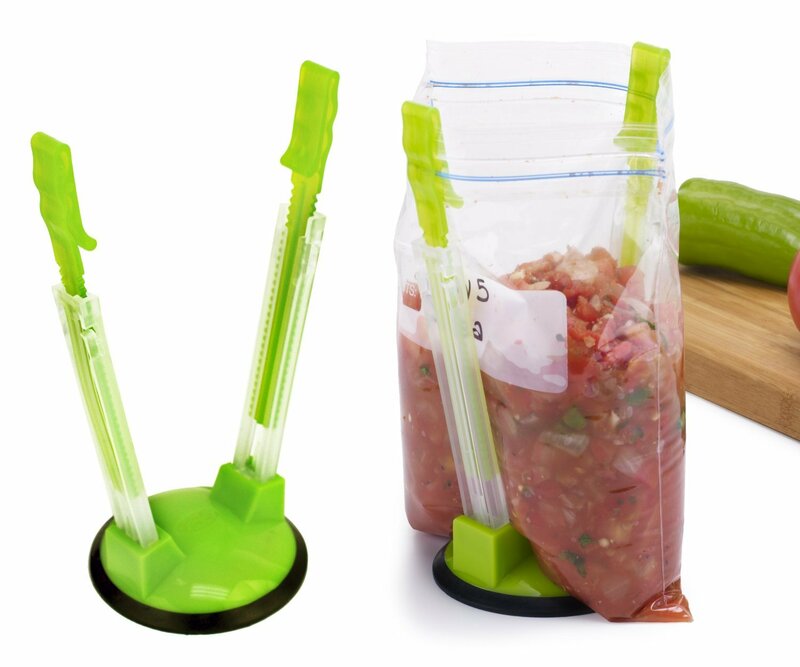 If you want to make your life even easier, you need these sandwich bag holders! You just clip your bags to it and it holds them up and open for you. This makes the entire process even faster because you don’t have to keep picking up and opening the bags. It also makes cleanup a breeze because fruit juices will not be leaking all over your countertop. These racks are also super convenient for making freezer meals and packing snacks! It’s important to have good sandwich bags when you are doing any kind of food freezer storage. 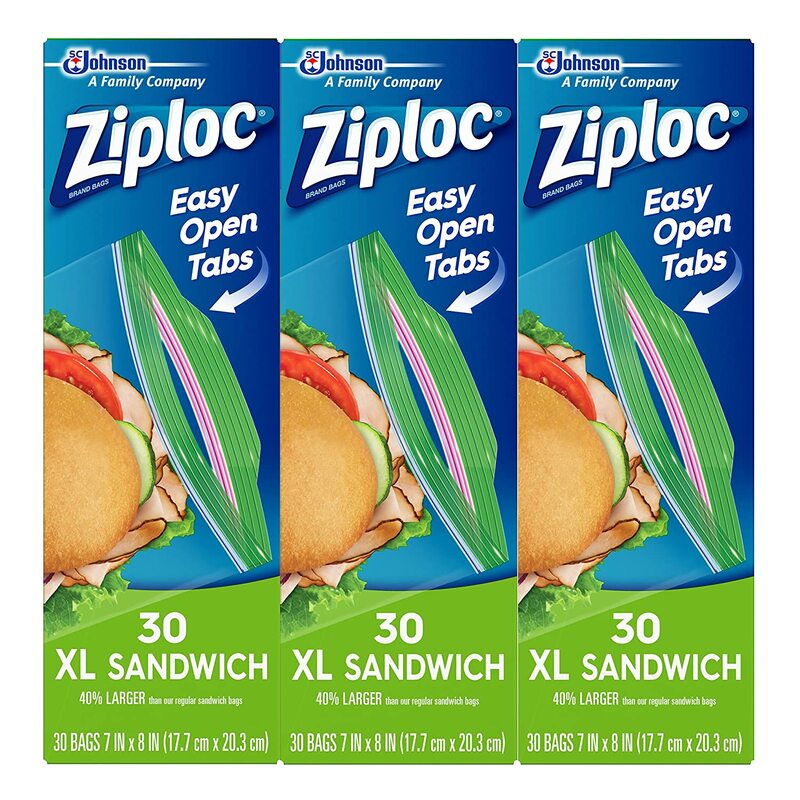 I like these specific ziploc sandwich bags because they’re really good at keeping the air out, making them feel like vacuum sealed bags but at a lower price. Keeping the air out is important when freezing food because you don’t want it to get freezer burn and you don’t want it to taste gross. So when you make your smoothie packs, make sure you have bags that seal well and keep the air out or you’re going to have nasty smoothies! *** You will also need 1 cup of almond milk, coconut milk, coconut water or regular water when it comes time to blend. You can also add a scoop of protein powder. 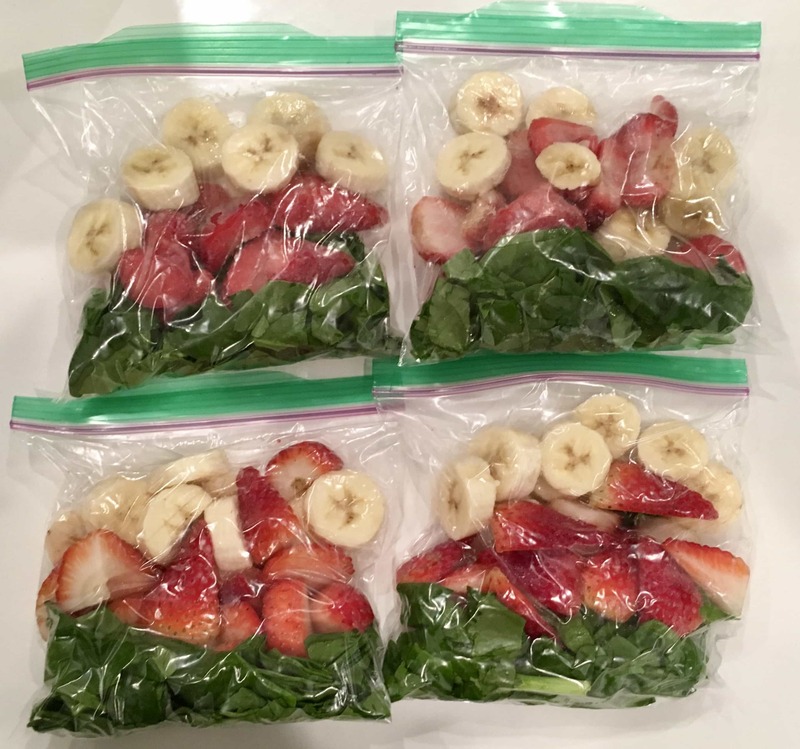 In sandwich bag, throw in the spinach, banana and fruit. Squeeze out all of the air and seal the bag shut. Place in freezer. Repeat for more packs. 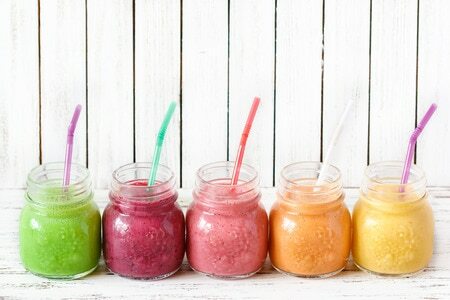 To make your smoothie: Pour 1 cup of coconut water, water, almond milk or coconut milk in a blender. Add one frozen smoothie pack and blend until smooth. You can add more water if you’d like a thinner consistency. You can also add protein powder.